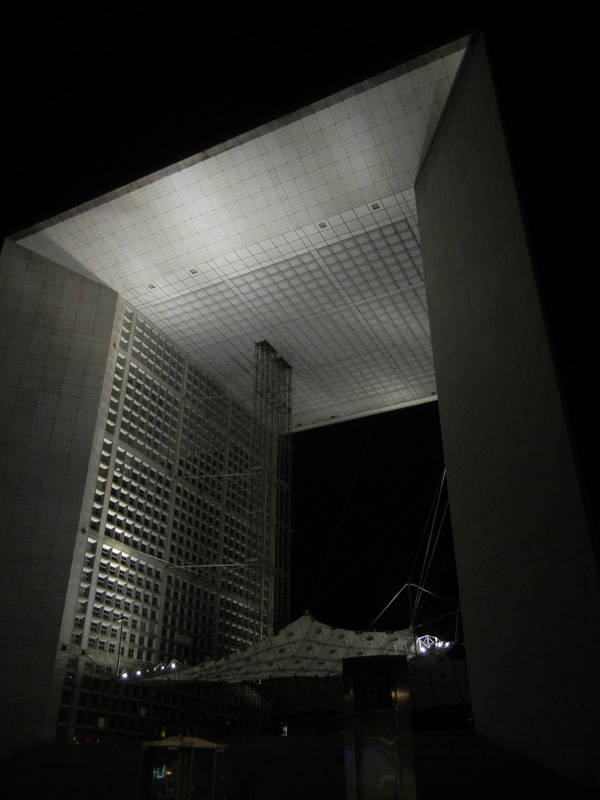 The Hotel Jeanne d’Arc wasn’t available our entire visit in Paris, so we opted to cash in some points and stay at the Hilton Le Defense — in the business district of Paris. Paris is so expertly planned and when they needed to build the business district, they didn’t tear down old classical buildings (like so many Cities did) they pushed the new high rises out into the near suburb area. We didn’t do a whole lot of research on the hotel or the area. We erroneously figured this area would have many things to do and would be like the other neighborhoods we visited. Nope. It’s actually a lot like the Loop in Chicago — quiet/dead after business hours and not a hell of a lot to do after hours. The price was right though. We transferred to the hotel around 4pm and after standing at street level for a few minutes we finally found the hotel sign. Yet again we were lost/confused by the obvious. At least we are consistent. We proceeded to check in and were greeted by a cold front desk employee. Since we were using points (from MS’ account) I pulled out my Gold Elite card and asked if we could get access to the Gold Benefits. The gentleman informed me that we couldn’t change accounts at this point and when I reminded him that we didn’t want to earn or redeem points on my card, just get access to Elite benefits (which I’ve been able to do two times in the past 6 weeks). He kindly (hmmm, make that rudely) reminded me that Hilton Elite Benefits are a privilege and not a right — which I do understand. He told us they were one of the smallest Hilton’s on the planet and they choose not to offer any Elite Benefits. I then asked if they could help us make reservations if I gave them some options we were interested in. They agreed. This Hilton is in a shopping mail/train station. We were offered an upgraded room (for 25€), this room would have a window that looked outside of the building, as opposed to the interior of the mall. We opted to save our $US37.50 and take an internal room. We head on up to our second floor room. The room was large but laid out extremely poorly. The bed also had no pillows, blanket or duvet. This obviously wasn’t going to work. I pick up the phone on the nightstand — it doesn’t work. I walk over to the desk and realize there is no way I can walk between the desk and the bed. Luckily this phone worked. I called downstairs to explain the issues and the woman at the front desk suggested we leave our room for a while and they will send someone up to make up our room. No, this isn’t acceptable. The other alternative was to schlep our suitcases back down and talk to another person and find another room. That option is not ideal either. I suggested someone meet us at our current room with keys to our new room and walk us to our new room. They quickly agreed to this — shocking, I know, considering the front desk interaction earlier. The gentleman who assisted us at initial check in was in our room in less than 3 minutes – surprising again. He escorted us to a new room with a same layout (and another room with a view of the interior of the mall), but this room had bed linens, working phones and enough space between the bed and the desk to make it useful. I decided to take a shower while MS went out to get some water and check out the music selection at the mall our room looked out upon. 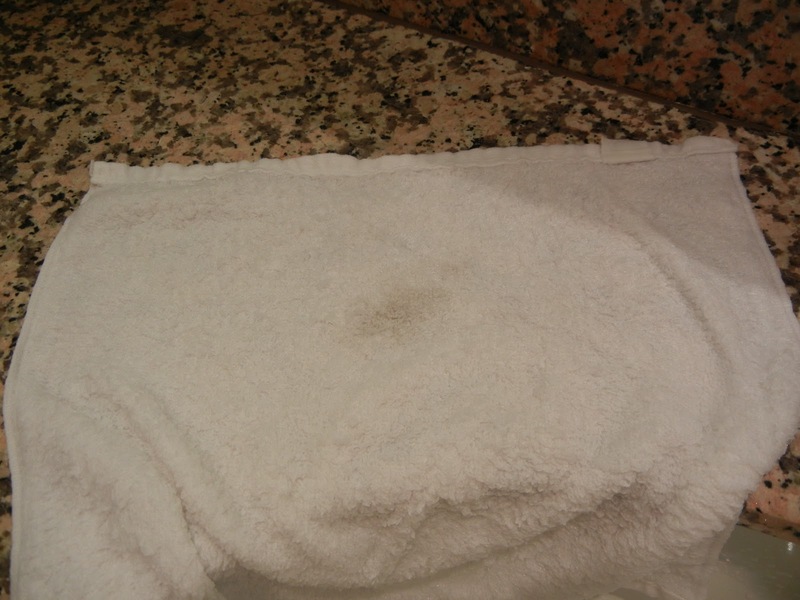 I grabbed a wash cloth and found a dingy black dirt stain. Lovely. I used an alternate wash cloth, shaved and showered. MS returned and we had a list of three restaurants we wanted to try for our final night in Paris. I called the front desk and asked for reservation assistance . Two of the three restaurants were closed but we were able to get into the third option. It was nice to have someone help us with reservations. We were shocked when we received our bill and we were charged 9€ for the three phone calls we asked them to make. Perhaps it is my naivete, but asking for a simple concierge service we shouldn’t be charged $US14. I asked about this when I left, but they wouldn’t speak to me about it since my name wasn’t on the reservation. Lovely. When MS left he had a long discussion with the front desk folks and they did agree to remove this charge. I emailed the hotel twice to find a resolution to the poor service, the initial bad room and the inappropriate phone charges and I have heard nothing from the hotel. I am a new Hilton Gold member — a partnership with United granted Premier Exec members Gold Status until 2013. I had never stayed in a Hilton before, but had a really great experience in Toronto and every interaction with customer service has been top notch. For example, two weeks after my stay in Toronto my points hadn’t been credited to my account, I tweeted my concern at the delay and within 20 minutes everything was taken care of. Although my experience with Hilton customer service has been limited they have been fantastic (except for this whole Paris experience). 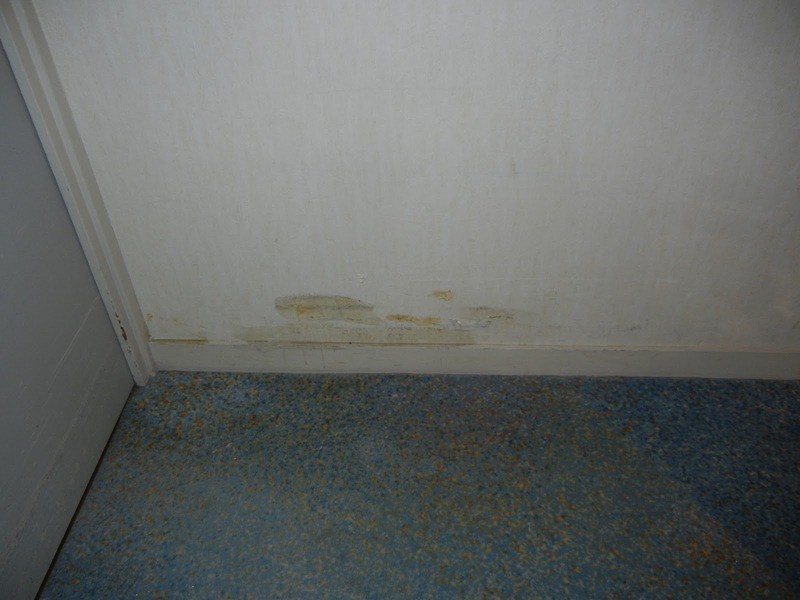 I must admit, I will never stay at the Hilton Le Defense again. I will definitely stay at a Hilton in the US again though — and am not opposed to staying at another international Hilton again. When traveling abroad do you choose to stay with American chains or local hotels? How do you deal with customer service issues at hotels: email, letter, phone call or online reviews? Have you had the great service, I’ve traditionally had at Hilton? Are you enjoying the Premier Executive Gold Status with Hilton (I know I appreciate it and am enjoying my stays). UPDATE: I wrote this post on Tuesday (9/27) and forwarded a link to the US Hilton twitter folks — who have always been beyond helpful with any question I have. They responded almost immediately asking for some stay details and forwarded the issues on to the hotel manager who would reach out to us. Well, the hotel still hasn’t gotten back to me. I did receive a nice email from Mr. Hall who is a Guest Assistance Specialist apologizing for the lack of response from the hotel. Again, I have to say, I’ve been extremely happy with the customer service I receive in North America and have only had one non-North America experience (this one) which was very subpar. Will I continue to visit Hiltons in the future, yes. 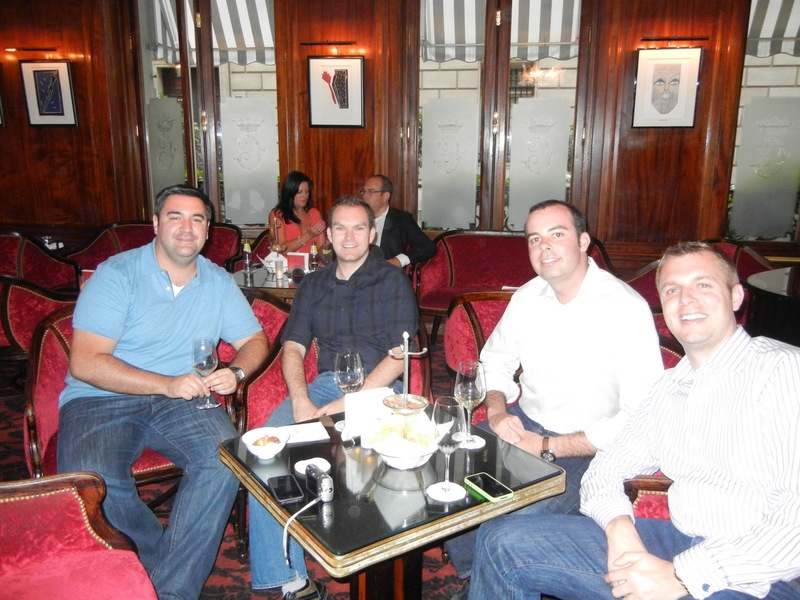 Will I stay at a Hilton in Paris, yes…Le Defense, probably not. Kudos to the US costomer service folks — thank you for all help. When I travel, I don’t usually focus on shopping. Living in Chicago I can get almost anything I want without an issue. Travel is time to explore a new area, meet new people, learn about yourself and of course to sample new food and wine. This, of course, was my thought before I visited Paris. Before I left, I knew I would be looking for one specific item – shoes. I wanted new dress shoes that didn’t look like the crap you find most places in the US. The shoes I wanted had leather uppers and soles, with a wooden heel. I wanted it to have a more pointed toe. I didn’t want the square or rounded toe shoe with rubber soles and heels. 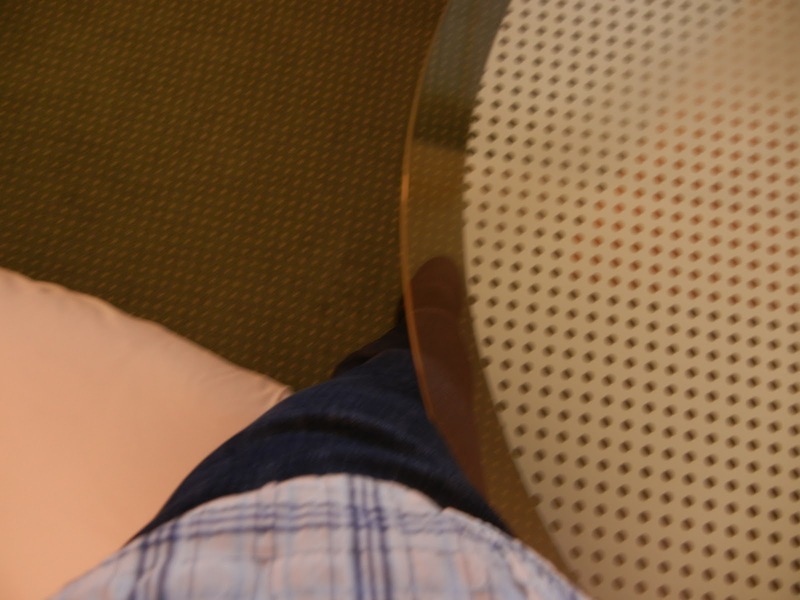 I had a pair of Hugo Boss shoes that fit this bill perfectly, but some crazy stew on a UAL flight ran over my shoe with the drink cart, cutting the leather. After this issue, I began searching for modern replacement shoes — with no luck. I search in every store I could find. Looking at options from Aldo to Bruno Magli and found nothing. I settled on a couple pairs at Nordstrom that I didn’t love, but I could tolerate — this transaction happened 3 days before my trip to Paris. Once we landed in Paris, I found several shops that had amazing shoes in the window. So many great shades, perfect shapes and a wide range of prices. While shopping doesn’t make it high on my list of vacation activities, it did become an important part of my Paris trip — unfortunately I waited until Sunday afternoon (following out walk through Saint-Germain-des-Pres) to begin my search in earnest. Most places were closed — of course they were. As we walked back to our hotel we found a place called Rudy’s Chaussures, and it was devine. They were having a pretty big sale. I popped in and using my imperfect French I managed to request a few pairs of shoes in certain sizes and then ineloquently describe what didn’t work with each option. I finally settled on two pairs of shoes. I bought a pair of black capped toed shoe and a pair of brown shoes. The brown shoes fit like a glove, while the black pair needs to be broken in a bit –they’re a little tight across the toes. I debated on buying a pair of chocolate brown suede shoes, but decided against it because I was afraid I wouldn’t have enough opportunity to wear them. What a silly thought. Here’s the best part — the two pair of shoes I bought cost a whopping 128€, which was less than a third of the price of the shoes I bought at Nordstrom just a week prior. Thankfully, Nordstrom has a very liberal return policy. I wish I had purchased a couple more pairs, these are such great shoes. 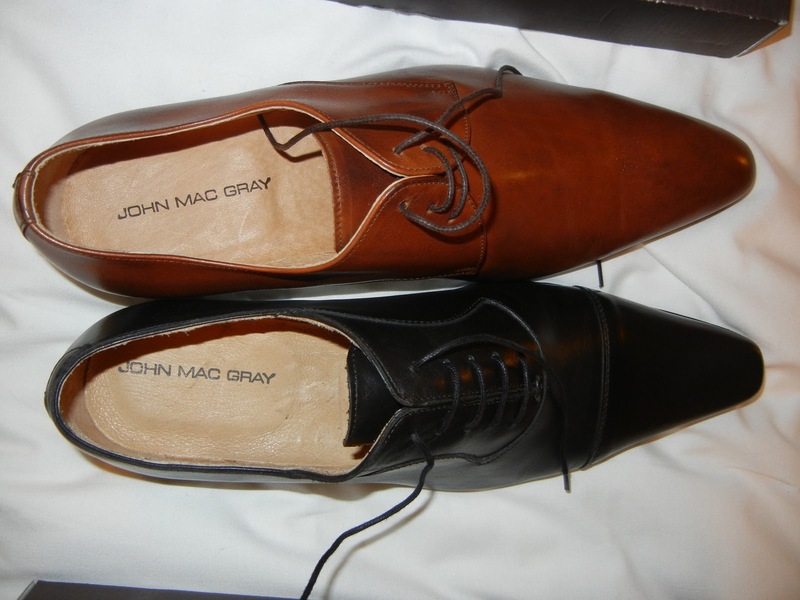 If you happen to stumble across shoes by John Mac Gray, buy them. They are just fantastic. If you happened to be heading to Paris and will be in the Marais and would like to pick up a couple pairs for me, let me know and I’ll let you know the style/size — I will reimburse you, don’t worry. Is shopping a key part of your travel plans? Have you been looking for a certain article of clothing forever and just stumbled across it while on vacation? Do you put this much thought, effort into something as simple as shoes? Have you had good luck buying shoes in a foreign language? 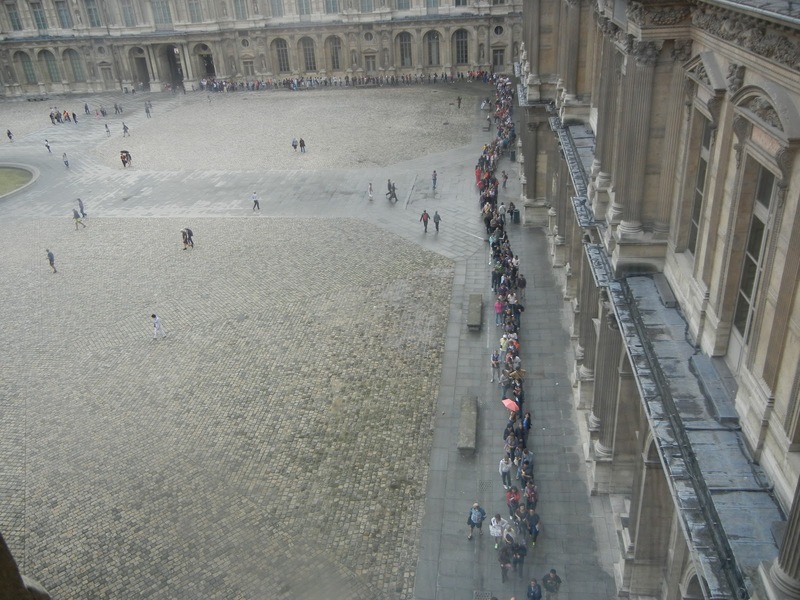 Ah, the Louvre, the quintessential attraction in Paris. Since my time in Paris was limited, I didn’t have the luxury of sleeping in like a bum (like I try to do on vacations), I had to get up and hit the museum early. JB was the smart one and found that the Louvre is free on the first Sunday of each month (which is when we would be there). Obviously the museum would be absolutely crazy on a free day, so dillydallying until noon would not be ideal. We got up at 08h00 and planned on being at the Louvre shortly before it opened (like my plan for Versailles, that didn’t quite work out as planned). We were out of the hotel by 08h45 heading to the Metro (which was closed, interestingly enough). We grabbed a pain au chocolat and an jus d’orange and waited for the bus, which would take us directly to the Louvre. Like the Metro, the bus arrived very quickly (not at all like I’m use to in the US) and we had to toss our breakfast in the trash and hop on the bus. The bus ride took 15 minutes and we were there. The line was quite long at 09h10, but the guidebook and several friends told us not to enter through the main door, go through the side door – the Porte des Lions. I thought this was too good to be true. We skipped the long line of people standing in the rain and headed 200 meters into the grounds and found the entrance — with no one in line. Was this all a scam? We entered the outer doors, went through the metal detectors, bought tickets and were in. IT WORKED! This entrance isn’t open on Fridays, but it is every other day — even the free day. I hate being a standard American tourist, but I had a handful of things I wanted to see and I wanted to hit them early and guarantee I didn’t miss the major things. 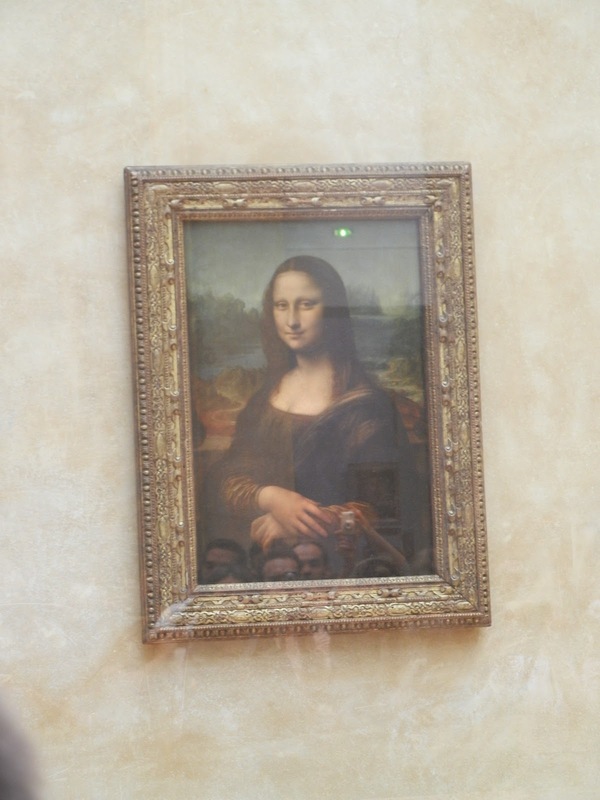 I immediately went to visit Mona Lisa — we got there so early, there were less than 2 dozen people in the room with us and her. It was great to see her and to get up close and personal, but I must admit it was a bit anti-climactic. I’ve been waiting a long time to see this piece of art and it was amazing, but not the knee quaking jaw dropping spectacle I thought it would be. Perhaps I am too jaded and cynical. 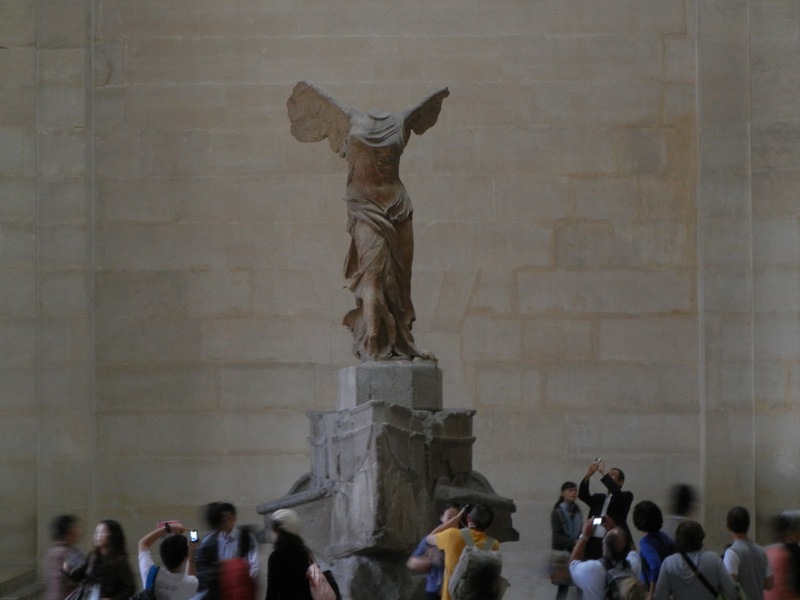 From Mona we moved on to Winged Victory. So many people were around taking pictures and demanding no one was in or near them when then were snapping pics. That’s just outrageous. I’m not going to stand off to one side for 20 minutes waiting to cross the room because you want a picture of you 10 month old in a stroller at the foot of Winged Victory. The other areas I wanted to see was the Middle Ages area and both MS and I wanted to see Spanish Paintings. I also wanted to see the history of the Louvre, in the basement. We saw some of the items we saw at Versailles, which looked more impressive here than at the palace. We had a small break for pastries and juice after we saw the Middle Ages and the Spanish items then we headed back down to the basement for the history — at this point the museum was absolutely full of patrons. It was uncomfortably full. We realized that this wasn’t working for us and we’d just have to see the historical pieces another time and we got the hell out of there. It was about 12h30 now by the time we got out of the museum and headed to take some more pictures outside. 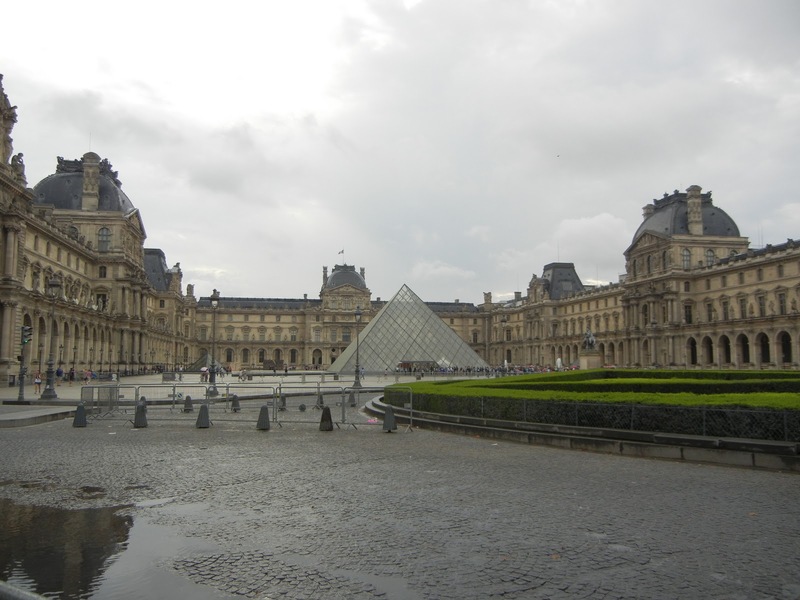 I must say, visiting the Louvre was great — something that everyone must do while in Paris. My advice, you must make a plan before you go. You won’t have time to look at everything, but you must do more than the Mona Lisa and Winged Victory (which are very close to each other). Pick a section and spend time admiring the art. 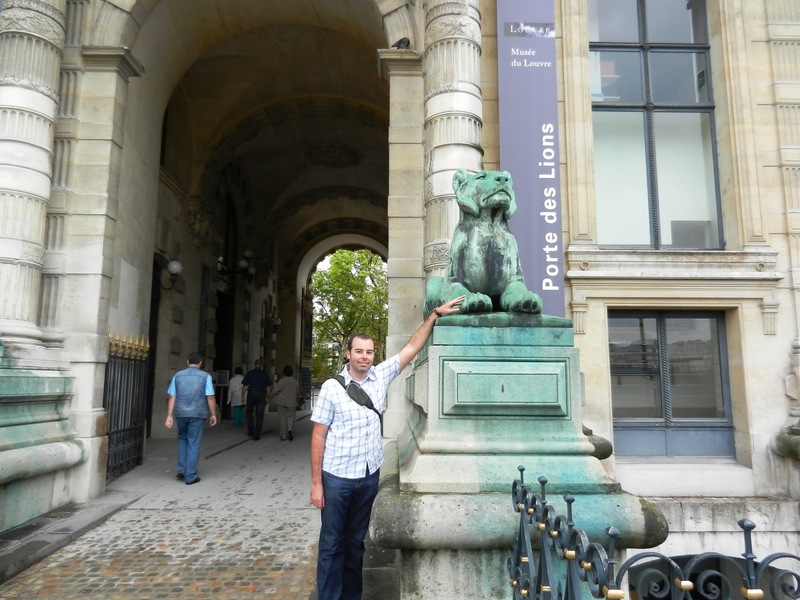 You must also enter through the Porte des Lions — it’s worth it to get up early and enter in the door without a line. It’s a great thing…do it! When at the Louvre, what is your go to piece of art? 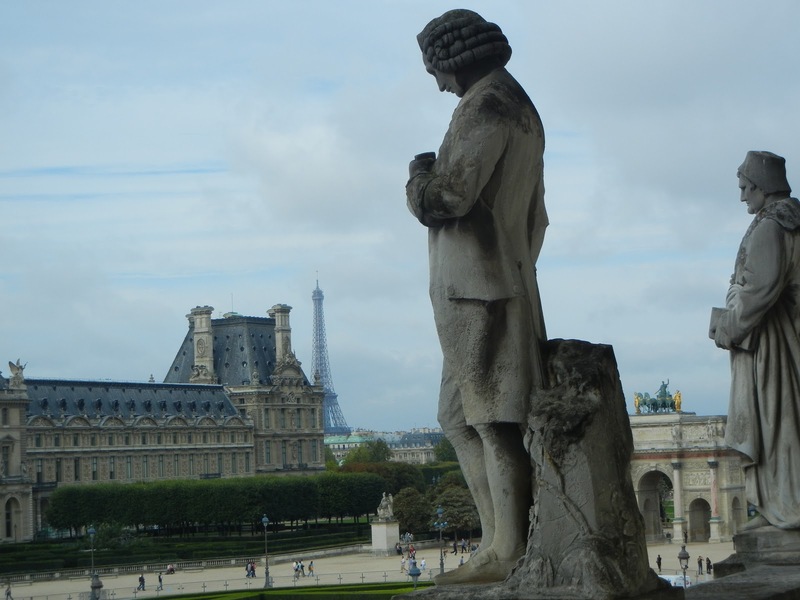 Do you visit the Louvre on every visit to Paris or are you a one and done visitor? What other Louvre secrets do you have that I am not aware of?